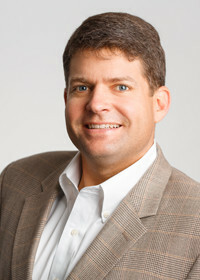 Neil co-founded privately-held Aurinia Pharmaceuticals in 2012. He is an experienced pharmaceutical physician with 18 years of clinical development and medical affairs experience in both large pharma and biotech. He is a recognized expert in rare-disease drug development and is widely published in this field. Neil joined Aurinia from Vifor Pharma, formerly Aspreva Pharmaceuticals (NASDAQ:ASPV) where he held the position of Vice President, Research and Development, being the lead clinician in the development of CellCept® in rare diseases. 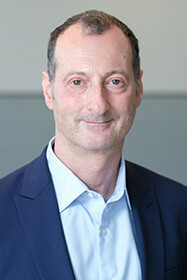 Neil led the CellCept Clinical Development teams of over 50 people that saw the completion, reporting, and publication of studies in pemphigus vulgaris and myasthenia gravis (both industry firsts), and the successful landmark lupus nephritis study called the Aspreva Lupus Management Study (ALMS). He was responsible for all clinical development activities from Phases 1 to 3, as well as participating in the formulation of R&D strategy, portfolio management, and due diligence efforts. Prior to Vifor & Aspreva, Neil held a variety of positions at Roche in both Global Clinical Development and Medical Affairs in transplantation, virology, and auto-immune diseases. While at Roche, Mr. Solomons led a diverse team in the development and implementation of post-marketing studies with a budget exceeding $15 million for its transplantation (CellCept® and Zenapax®) and virology (Cytovene®) franchises. Neil qualified in medicine in 1991 receiving his MB BS (MD) at Guys Hospital Medical School, London. He subsequently worked as a physician in London UK, completing specialist training in anesthesia and intensive care. His research interests included sepsis and chronic pain. Michael is currently Chief Operating Officer of Aurinia Pharmaceuticals Inc. 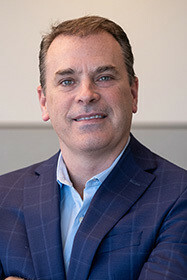 He was formerly CEO, director and co-founder of the privately held Aurinia Pharmaceuticals Inc., which merged in 2013 with the former Isotechnika Pharma Inc. Michael is a biotech/pharmaceutical executive with over 18 years of industry experience. Michael joined Aurinia from Vifor Pharma where he held the position of Director, Global Business Development & Licensing. Prior to Vifor, Michael was a key member of the business development team that saw Aspreva sold to Galenica for $915M. Upon joining Aspreva in 2004, Michael initiated the strategic launch planning process for CellCept® in “less-common” autoimmune diseases. These included such indications as pemphigus vulgaris, myasthenia gravis, and lupus nephritis. Prior to this, Michael held a variety of progressively senior commercial positions at Schering-Plough. Most recently, he was responsible for the Rheumatology business unit for Remicade® in France. In this role, he had full profit and loss responsibilities and had direct responsibility for the sales team, the marketing team and the infusion access team. In addition, while at Schering-Plough, Michael was the brand manager responsible for the Canadian launch of Remicade (infliximab), which ultimately became the most successful product launch in Canadian history. Michael started his career in the industry in the sales organization of Schering-Plough where he received multiple awards and recognition while rapidly progressing towards the prior mentioned roles. Dennis has been the Chief Financial Officer of the Company since 1998 and is responsible for the financial and administrative operations of the Company. 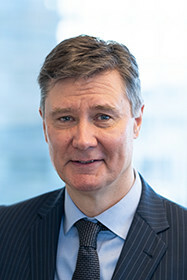 During his tenure, he contributed significantly to one of the largest Canadian biotechnology PIPE transactions, totaling $52 million US dollars and was involved in the multi-million dollar Roche licensing agreement of voclosporin in 2002. In addition, he played a crucial role in executing the merger of Isotechnika and then privately held Aurinia Pharmaceuticals in September 2013. For six years prior to joining Isotechnika, he was the controller for a private industrial distribution company and a Senior Manager in public accounting at KPMG. Dennis obtained his chartered accountant designation in 1984. Rob has more than 25 years of pharmaceutical development experience. 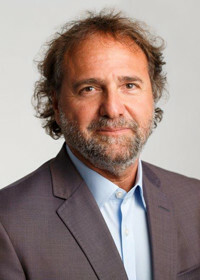 He has managed the global clinical development of voclosporin since 2002 where he was with Isotechnika Pharma, Inc. prior to its merger with Aurinia in 2013. 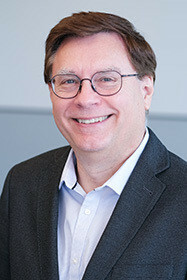 Before joining industry, Rob was an investigator in nephrology and transplantation clinical trials at the University of Alberta Division of Nephrology & Immunology, where he was involved in more than 60 clinical trials from Phase I through Phase IV and the successful development of numerous compounds including CellCept®, Neoral®, Prograf®, Aranesp® and Simulect®. He has acted as a consultant to nephrology and transplantation pharmaceutical companies, has lectured extensively and is recognized as an expert in immunosuppression drug development. Rob has numerous articles published in leading medical journals, including the New England Journal of Medicine, Lancet and the American Journal of Transplantation. He is a member of many professional societies related to nephrology, transplantation, and nursing and is the founder of RenalPro, a moderated forum for renal professionals. Rob holds a M.Sc. in Medicine (Epidemiology) from the University of Alberta, a PhD in Organizational Leadership from Regent University, is certified in Nephrology and a member of Sigma Theta Tau (Honor Society of Nursing). He holds a certificate in leadership from EQUIP Leadership. 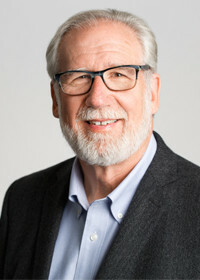 Erik Eglite, D.P.M., J.D., M.B.A. Prior to joining Aurinia, Erik was Vice President, Chief Compliance Officer and Corporate Counsel for Marathon Pharmaceuticals and Vice President, Chief Compliance Officer and Corporate Counsel for Lundbeck Pharmaceuticals. Prior to that, he was Vice President, Chief Compliance Officer and Corporate Counsel for Ovation Pharmaceuticals and Global Chief Compliance Officer, Corporate Counsel for Aspreva Pharmaceuticals. Erik has been involved with the clinical development, launch and commercialization of 12 drugs and drug programs. He is a nationally recognized and frequent speaker on pharmaceutical law. Before entering the pharmaceutical industry, Erik worked as Assistant General Counsel for the Department of Human Services and as a medical malpractice, product liability defense litigation and intellectual property, patent attorney for Querry & Harrow in Chicago, Illinois. He is a licensed podiatric physician and surgeon and is registered to practice before the United States Patent and Trademark Office, the United States Court of Appeals for the Federal Circuit, the United States Court of Appeals for the District of Columbia Circuit and the United States Seventh Circuit Court of Appeals. Erik has a M.B.A. from the University of Notre Dame, Mendoza College of Business. He also holds a B.S. in Biology, a B.A. in History, M.Sc. Cand. in Chemistry, and a J.D. from Loyola University of Chicago. He graduated from Des Moines University Iowa Medical School with a Doctorate in Podiatric Medicine and Surgery, after which he completed his residency training at Michigan Health Medical Center Hospital. He also completed his medical/surgical externships at the University of Chicago, Department of Surgery, Division of Vascular Surgery and Northwestern University Columbus Cabrini Hospital, Department of Orthopedic/Podiatric Surgery. He has a graduate certificate in Pharmaceutical & Medical Device Law from Seton Hall School of Law, an Executive Certificate in Corporate Governance from Northwestern University Kellogg School of Management and an Executive Certificate in Business Administration from the University of Notre Dame. Rashieda has over 25 years of pharmaceutical and biotech industry experience specializing in strategic planning and delivery of global clinical development programs. During this time, she has built and led a number of high performing teams to success. Rashieda has held the roles of Vice President of Clinical Operations for a privately held clinical stage biopharmaceutical company, responsible for strategy and leadership in the clinical development of their platform immunotherapeutic treatments as well as Vice President and Head of Global Clinical Operations at Vifor Pharma, based in Zurich, Switzerland, where she retained overall accountability for the execution and delivery of the company’s global development programs. 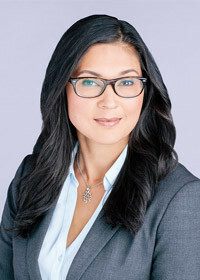 Previously, she held the position of Vice President of Clinical Operations at Aspreva Pharmaceuticals in New Jersey and was responsible for the successful transition and integration of the global clinical department post acquisition. Earlier in her career, Rashieda served in increasingly senior positions at major pharmaceutical companies including Novartis, GSK, and Organon. In her role at Aurinia, Rashieda leads the company’s clinical programs. Ron oversees all manufacturing requirements, drug supply and manages the CMC team at Aurinia. For over 13 years, Ron has been the President of Demers Consulting Inc., and since 2012 provided Aurinia with strategic Supply Chain, Manufacturing, CMC and GMP relevant consulting services to accelerate cost effective development program activities. In addition, Ron brings over 35 years of extensive Supply Chain, Production and Quality Management experience across a broad industry base, including Biotech, Pharmaceuticals and Devices. He holds a BSc Chemistry from the University of Western Ontario. Larry has been with Aurinia since its inception in 2012 and brings 30+ years’ experience in global regulatory affairs, in large and small companies, across a variety of therapeutic areas. During his career, he has operated at the executive level for 10+ years. Prior to Aurinia, Larry worked as an independent regulatory consultant after leaving Vifor Pharma as Senior Vice President, Global Regulatory Affairs in 2010. During his time with Vifor Pharma, he served as a member of the Leadership Team and successfully led the consolidation of the regulatory affairs function after the acquisition of Aspreva Pharmaceuticals where he was Vice President, Regulatory Affairs. He was a key contributor to the regulatory strategies, tactics and operational activities associated with the CellCept® autoimmune programs, conducted in collaboration with Roche. Before joining Aspreva in 2004, Larry was Senior Vice President, Regulatory and Quality Affairs at QLT, Inc. where he gained approval for Visudyne, the first drug ever approved for the treatment of age-related macular degeneration. Prior to QLT, Larry led the regulatory and medical affairs function for CIBA Vision Ophthalmics (which ultimately became Novartis Ophthalmics) for eight years, gaining approval of the company’s first entirely internally developed new drug, Zaditor, for the treatment of ocular allergies. Previous to his time at CIBA/Novartis, Larry worked in R&D and regulatory positions with increasing responsibilities at Bausch & Lomb Inc., eventually becoming Director, Regulatory Affairs. Highlights during his career at Bausch include launching major new OTC and Rx products and gaining approval for a new state of the art manufacturing facility. Larry began his career as a microbiologist at Merck, Sharp, and Dohme, at their vaccine facility in West Point, PA, USA. Brad has more than 15 years of experience in the healthcare industry with a focus on pharmaceutical market access, distribution and patient services. He served as Vice President, Access and Reimbursement at NPS Pharmaceuticals until it was acquired by Shire plc for $5.2billion in February 2015. As a member of the US Leadership team, he was key to implementing the market access and patient services strategy for NPS products. Prior to his role at NPS, Brad was Director of Managed Markets at ViroPharma with responsibility for all market access functions. He provided leadership for the launch and ongoing commercialization of Cinryze®(C1 esterase inhibitor, human) for prevention of attacks of a rare disease called hereditary angioedema up until and through an acquisition by Shire plc for $4.2billion in 2014. 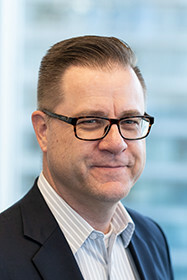 Prior to joining ViroPharma in 2009, Brad held a number of positions of increasing responsibility in both the pharmaceutical and health insurance industry including Wyeth Pharmaceuticals, UnitedHealth Group, and Caremark. Sue has over 22 years of experience in the pharmaceutical and biotech industry, spanning multiple roles; regulatory affairs, global program management, business development, process improvement, and analytical chemistry. Sue began her career in 1996 at 3M Drug Delivery Systems in the UK, where she held a number of positions of increasing responsibility until assigned the Global Program Manager for two late stage development asthma products working with large pharmaceutical clients, including Sanofi, Nycomed (now Takeda), Novartis, and Schering Plough (Alvesco & Dulera both successfully commercialised). Following her time at 3M, Sue worked at Vectura (UK Specialty Pharma company) as a regulatory specialist where she gained further experience in generics, asthma inhalers and EU & US regulatory affairs. Sue emigrated to Canada with her family in 2011 and successfully completed her MBA at Vancouver Island University. Sue joined Aurinia in 2014, and now leads the regulatory department. She is responsible for the global strategies and regulatory submissions planned for voclosporin in lupus nephritis, FSGS and Dry Eye Syndrome. Sue holds a Bachelor of Science (BSc) Chemistry from Loughborough University, UK and is Regulatory Affairs Certified (RAC). Simrat brings over 20 years of experience to Aurinia across clinical practice, medical affairs and business development. He completed his training in general surgery at Robert Wood Johnson University Hospital in New Brunswick, NJ. 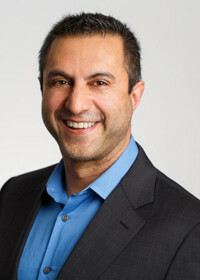 Simrat subsequently transitioned out of clinical medicine and into McKinsey Consulting focusing on the life sciences where he evaluated business development opportunities for top-tier biopharma clients. For the past 10 years, he has held a number of senior leadership roles in commercial and medical affairs within large and small pharmaceutical companies. During this time, Simrat served as the medical lead for Novartis' Multiple Sclerosis (MS) franchise, where he played an integral role in establishing Gilenya® as the first oral therapy for the treatment of Relapsing MS. Most recently he was the global medical affairs lead at BioMarin Pharmaceuticals for MPS, Duchenne Muscular Dystrophy and Hemophilia. Simrat completed his M.D. at Drexel University and received his M.B.A. from Columbia University.